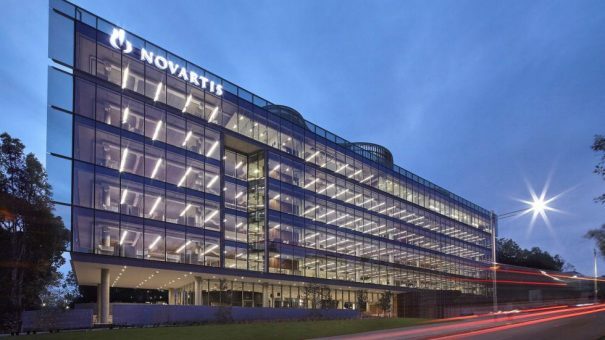 For the first time, patients with a rare and life-threatening blood disorder have a treatment option after Novartis’ Rydapt got an EU licence for aggressive systemic mastocytosis, related blood cancers, and acute myeloid leukaemia. An oral therapy, Rydapt (midostaurin) is approved for use in combination with chemotherapy, and for patients in complete response followed by Rydapt single agent maintenance therapy, for adults with newly diagnosed acute myeloid leukemia (AML) who are FLT3 mutation-positive. It was also cleared for use as monotherapy for the treatment of adults with aggressive systemic mastocytosis (ASM), systemic mastocytosis with associated haematological neoplasm (SM-AHN) or mast cell leukaemia. In advanced SM, the uncontrolled growth of neoplastic mast cells causes organ damage such as liver dysfunction, low blood counts and weight loss. People with the disease also suffer from debilitating systemic symptoms such as pruritus (severe itching of the skin) caused by mast cells releasing inflammatory mediators, such as histamine, into the blood. It is caused by a genetic mutation in the KIT gene, which triggers the abnormal proliferation and survival of mast cells. Rydapt represents the first and only targeted therapy for FMS-like tyrosine kinase 3 (FLT3)-mutated AML and the only treatment for three subtypes of SM, collectively known as advanced SM, in the EU, all of which have limited life expectancy and few treatment options. Approval in AML is based on the RATIFY trial which showed a 23% reduction in risk of death with Rydapt plus standard chemotherapy, compared with placebo plus chemo. For advanced SM, the approval is based on two single-arm open-label multicentre trials, including the phase 2 study (CPKC412D2201), the largest prospective trial ever conducted in this rare disorder. Rydapt inhibits multiple kinases, including FLT3, which help regulate many essential cell processes, interrupting cancer cells’ ability to grow and multiply. It induces cell death in leukaemic cells expressing FLT3 ITD or TKD mutant receptors, or in cells overexpressing FLT3 wild type receptors.